The price will be $120 USD per dinner ticket. 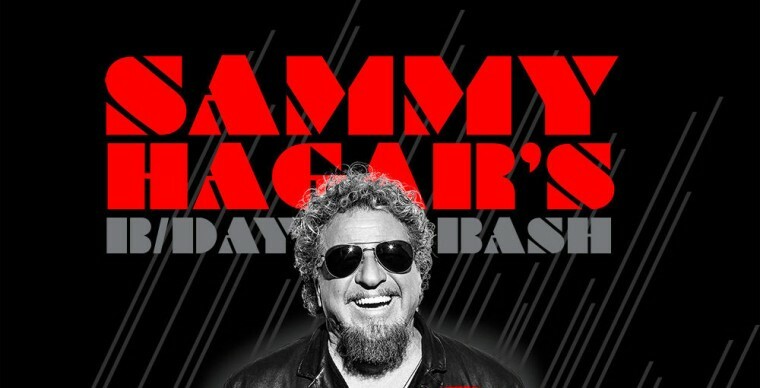 looking for tickets to the 10/13 or 10/14 dates for my husbands 50th birthday trip to Cabo to celebrate with friends and family, and hopefully Sammy!! we will be travelling with approximately 6-10 people. only traveled to Cabo one other time and had lunch at Cabo Wabo but a very quiet week, nothing like we're expecting this trip. You do not need to get in line for dinner tickets 48 to 72 hours ahead of time!!! Whoever posts this information is just causing more problems for those people who are going to get in line for dinner tickets since the people who have never got in line for dinner tickets will read that stupid & inaccurate post & actually get in line 2 or 3 days ahead of time. I've gotten in line for dinner ticket for over 10 years & you only need to get in line the day before they go on sale, NOT 2 OR 3 DAYS!!! WHOEVER DOES THIS IS JUST MAKING IT HARDER ON THEMSELVES & EVERYBODY ELSE!!! STUPID SHEEPLE!!! You do indeed need to buy the dinner tickets in person at the Cabo Wabo. Be prepared to sleep on the street two to three days ahead of the on sale. On a normal year 24 to 36 hours, but this being his 70th definitely longer time. Do not try and have someone do this line time for you. If it is discovered they will not allow ticket buying to be done. Do you need a guest? If so I am offering up $200 cash. The others inquiring about dinner tickets here is the scoop. It does include admission into the show on the night you have them for. Be prepared to sleep on the sidewalk in front of Cabo Wabo at least two to three days before on sale. The first sale last year many put in 36 hours of time. This year is definitely looking to be more time. Do not try to have people do the time for you if caught they will be denied buying tickets. do you need to be in person to purchase the dinner tickets or can you call the Cantina and purchase over the phone? Dinner show tickets get you in for dinner and the show. I'm confused too, do you need to buy both dinner ticket $120. and a show ticket $70.00 to do both? Or if you just have dinner ticket, are you kicked out before show? Sooooo, does a dinner ticket get you access to the show as well, or do they boot you out before the show begins? This is my first year for the BDBash, is the Dinner ticket worth it? What's the benefits? I called the cantina last week to ask about the dinner shows. What the manager told me was if you already have tickets and want the dinner it is the full $120 per person. I was lucky enough to get tickets for the show on the 13th so won't be going to the dinner. you can not upgrade your previously purchased tickets to dinner tickets. I am waiting to find out when the second chance tickets go on sale as well! The tickets that the winners didn't claim or pay for! does anyone know yet? When do the second chance tickets go on sale? In years past if you won through the drawing you could not uograde to a dinner type for the same show. I do not see that disclaimer for this year. I also would really just stick with your regular ticket. You will most likely well nearly guarantee to have to camp out 24 hours before sale time for a shot. It is likely looking 48 to 72 hours this year. Do you have to have a show ticket to get a dinner ticket or does the dinner ticket include the show? try and get a dinner ticket?? 150 tix each night. $120 a tix is what I read. How about an update for the second chance tickets? Actually your only allowed two tickets max each person. KC. You are half right. Each person that happens to get dinner can pay for a table of four. There are only about 10 tables, or so and around 5 seats at the bar. Most years there have been 3 seatings around 6:30, 7:30 and 8:30. The first 35 or 40 people in line will get tickets. Who knows when the line will form, but will probably be days in advance. Spent two days in line for free tickets for the 60th in 07... Again, this is how it went down in years past. Who knows this year???? 150 Tickets that is only 75 pair of tix, you better be in line now is right..
so is it $150 or $120?? ?